Lonnie Ballentine, Mr. Irrelevant 2014. 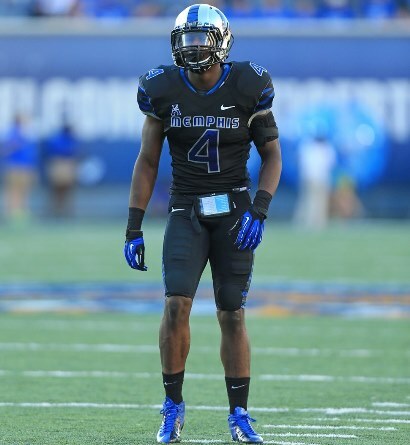 May 10, 2014 -- Earlier today the Houston Texans selected Lonnie Ballentine (Safety, Memphis) with the 256th pick in the seventh round of the 2014 NFL draft, making Ballentine Mr. Irrelevant 2014. Since 1976, the last player chosen in the NFL draft has been referred to as Mr. Irrelevant, thanks to Paul Salata, who came up with the offbeat idea of honoring the last man drafted by offering said individual a free trip to California, where he would be treated like the first player drafted. Most of the players distinguished as such have failed to make their mark in the NFL, but there have been some notable exceptions. Among them is current Kansas City Chiefs placekicker Ryan Succop (Mr. Irrelevant 2009), who is entering the third year of a five-year, $14 million contract he signed in 2011. After Salatas' daughter Melanie announced the selection, an unidentified individual held up a Texans jersey with the number 256 and Mr. Irrelevant stitched on the back, highlighting Ballentine's newfound status and reminding observers that 255 pro prospects had been selected ahead of him. As per tradition, Ballentine will be invited to be the guest of honor for a weeklong Mr. Irrelevant celebration (July 8-12) in Newport Beach, California. Ballentine will be awarded The Lowsman Trophy at a dinner banquet. Iron Maiden's Ed Force One badly damaged at airport in Chile, Two Injured—Iron Maiden's private/branded 747—dubbed Ed Force One, a reference to the band's longtime mascot, Eddie—was badly damaged in a runway accident at Merino Benítez International Airport in Chile on March 12. 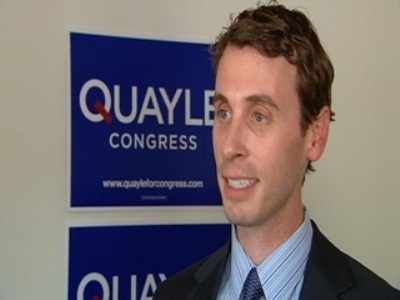 Ben Quayle calls Obama the worst president in history—Ben Quayle calls Barack Obama the worst president in history. Of course, he also thinks Mexico is part of the United States. 5 Things to do in Butte, MT—The Berkeley Pit and Evel Knievel’s grave are just two of the many interesting things to see in the mining town of Butte, Montana.